1. Homeopathy is one of the four most widespread medical systems along with Traditional Chinese Medicine, Herbal Medicine and Conventional Medicine. 2. The Statue of Samuel Hahnemann, MD – the Father of Homeopathy – stands in Washington, D.C. at the intersection of 16th street and Massachusetts Avenue and is one of the few statues of nonpolitical or nonmilitary figure. President McKinley personally chose that spot so it could be visible from the White House. 3. Unlike many other alternative medical systems existent today, Homeopathy is a Western Medical system. 4. The first medical reference book for home use ever written in US was a homeopathic reference – The Domestic Physician – written in 1835 by Constantine Hering, MD. 5. In the deadly flu epidemic of 1918, the “Great White Plague”, that claimed over 500,000 lives – homeopaths had a death rate of 1.05%, while allopaths had a death rate of 30%. 6. In late 1800s, US was the world’s leading country in Homeopathy. 7. In 1800s there were more than 20 homeopathic medical schools (which in 1900s were all converted to allopathy, many of them still existent today such as Boston University School of Medicine, Hahnemann Medical School in Philadelphia, and New York Medical College). 8. In England, 42% of physicians refer patients to homeopathy. 9. 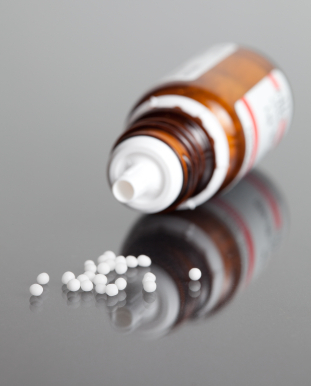 In France, approximately 32% of physicians use homeopathy. 10. Homeopathy uses as its healing principle the Law of Similars – a disease can be cured by a substance if that substance can cause, in a healthy person, symptoms similar to those of the disease. Lansky, A. Impossible Cure, The Promise of Homeopathy. (2009). R. L. Ranch Press: Portola Valley, CA. Read more articles at Elite HealthPlex Clinic.